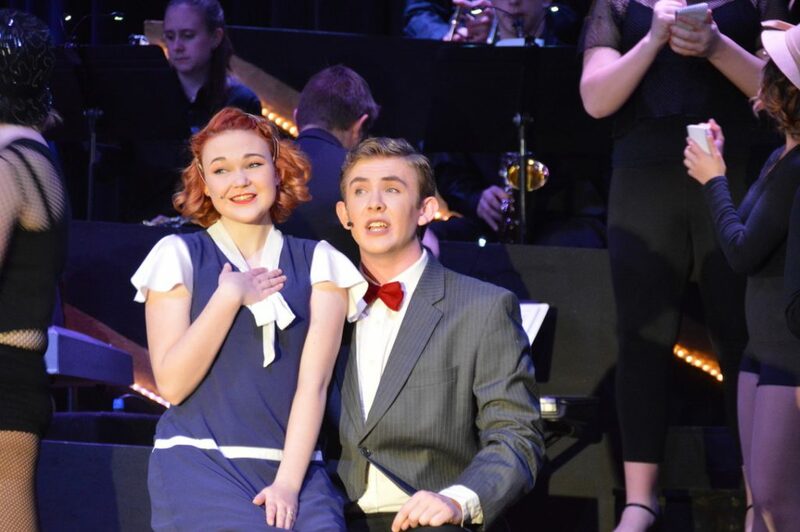 Roxie Hart (Celestyn Baker) tries to convince Billy Flynn (August Pomrenke) of her innocence as the investigation continues into the murder of her husband, Amos. The multi-tiered bandstand in the background was a major part of the set, constructed by Frank Davidson and the Technical Education program members. Sophisticated dance moves showed off the students’ athleticism and ability to work as a team. ‘Roxie’ is held high by James Vaughn, Collin Bennett, Brett Brinkworth, Kiernan McGuire and Andrew Keith. The adult themes in the original stage show of “Chicago” were toned down into a ‘High School Edition’ and still included plenty of singing and dancing. 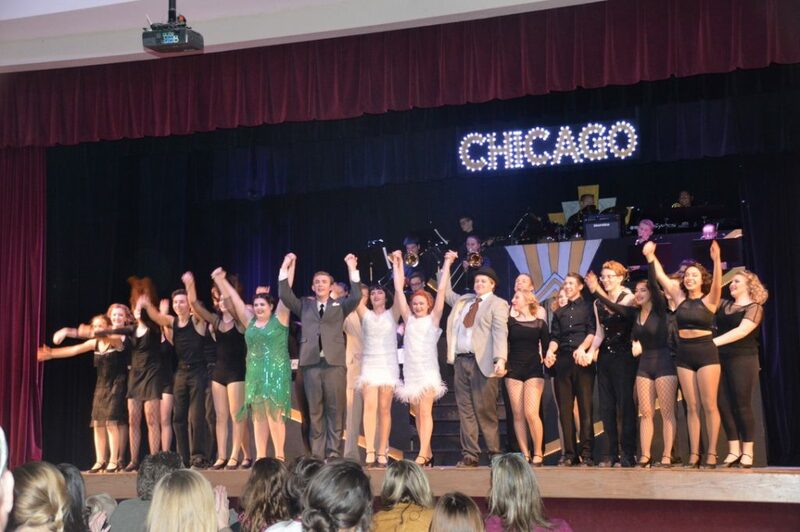 The entire cast takes a bow following the grand finale, a full-cast version of “All That Jazz”. Anyone that hasn’t treated themselves to a Palisade High School musical should clear their calendar and plan to attend the next production. It has been a highlight of the winter semester.